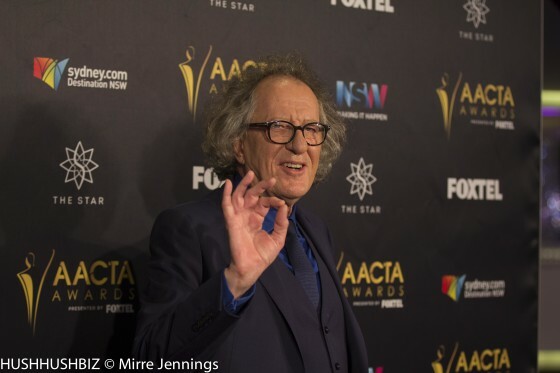 In breaking news today actor Geoffrey Rush, In the Federal Court this afternoon, Justice Michael Wigney said The Telegraph had failed to establish a defence of truth to its claims and he was not satisfied the events occurred “as alleged”. The actor has one has won the defamation case has been awarded $850,000 dollars in damages. Justice Wingney stated…. This was in all circumstances reckless sensational journalism of the worst kind. Justice Michael Wigney said the publisher had not proved that Rush had behaved inappropriately towards Eryn Jean Norvill, who performed alongside Rush in a Sydney Theatre Company production of King Lear. Nationwide News was ordered to pay $850,000 in aggravated damages. Justice Wigney also found Rush had suffered economic loss with the amount of special damages to be determined at a later date. In delivering his judgment at Sydney’s Federal Court this afternoon, Justice Wigney said the evidence of Norvill was not “credible or reliable”. He described it a “sad and unfortunate case” that would have been better dealt with away from the “harsh and adversarial” world of a public defamation hearing. Rush had sued the Telegraph and its journalist Jonathon Moran over a series of stories in November 2017 which said the actor had engaged in “inappropriate behaviour” while appearing in a production of King Lear on a Sydney stage. In an hour-long reading of a summary, Justice Wigney tore into the Telegraph and Moran. “I have found that the conduct of Nationwide and Mr Moran in publishing the defamatory imputations….was improper and unjustified,” he told the packed court. “The first reason was that those articles were published in an extravagant, excessive and sensationalist manner. “The second reason is that I found that Nationwide News and Mr Moran were reckless as to the truth or falsity of the imputations they conveyed and failed to properly inquire into the facts before they published. Gerofry Rush, wife Jane Menalaus and the actress at the center of the allegations, Eryn Jean Norvill, were present in court to hear the judgment today. The stories did emerge after an unofficial complaint had been made by an actress – later revealed to be Eryn Jean Norvill – who had appeared alongside Rush in the 2015/16 production. Rush denied all wrong-doing and claimed the stories carried the imputations that he was a “pervert”, a “sexual predator” and that he had committed sexual assault. I would think that the actress may be considered for charges of holding the High Court in Contempt as a result of her statement to the Press after the verdict was handed down. She surely should have to answer for her remarks?